British and Italian expats continue to lead the property market in France. Although the number has dropped slightly, British expats still account for a fifth of all house purchases by foreign buyers in France. The data released by BNP Paribas showed, between 2011 and 2012, the total number of transactions carried out by Brits fell slightly from 19.4% to 19.1%. Over the same period the total transaction amount has risen to €384,000, this suggests buyers are focussing on higher quality homes. 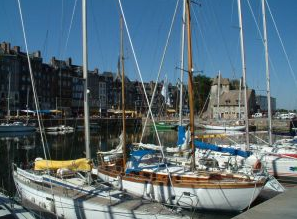 Two of the most popular regions for British expatriates are Brittany and Normandy, in the north-west of the country. They are also important buyers in more southerly provinces such as Aquitaine, and the midi-Pyrenees. Italian buyers dominate in the Paris region, and Provence Alpes Cote D’Azur in the south east of the country, according to the data. Tim Harvey, managing director of specialist euro mortgage brokers, Offshoreonline.org, attributes the continuing popularity of the French market to the wide-range of choice and the availability of euro mortgages. Unlike in the UK, expat property buyers are often faced with a bewildering array of euro mortgages. In addition to long-, and short-term fixed rate mortgages, capped rates are also available.